Line joining any two points of the circle is the chord of the circle. 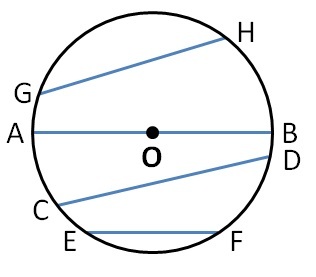 (AB) , (CD) , (EF) , (GH) are chords of the circle. What if a chord passes through center of circle? 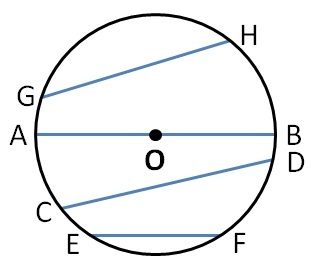 A chord through center of circle is the diameter of the circle. And diameter is the longest chord.